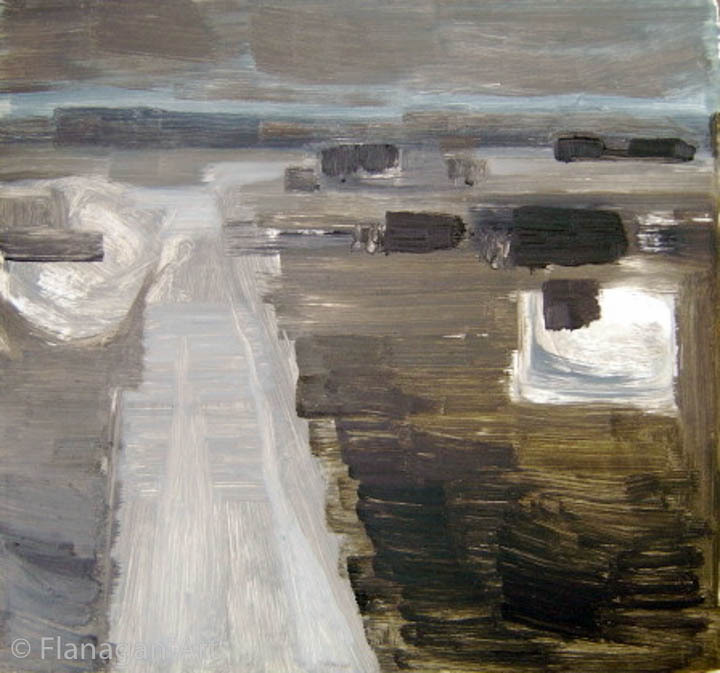 After working for so many years around Lissadell and Lough Erne Flanagan found the north Donegal landscape invigorating. 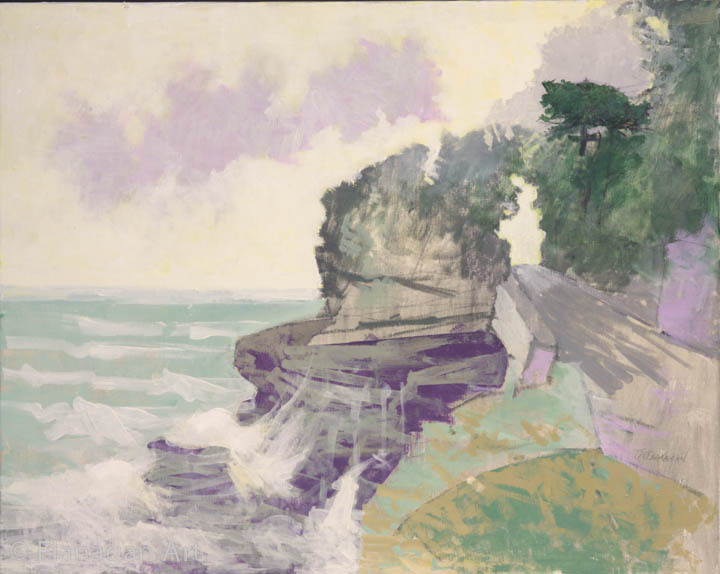 He was impressed by the grandeur of the Bloody Foreland, with its huge boulders strewn about the barren shore, and by rivers in the sand which bled into the sea. 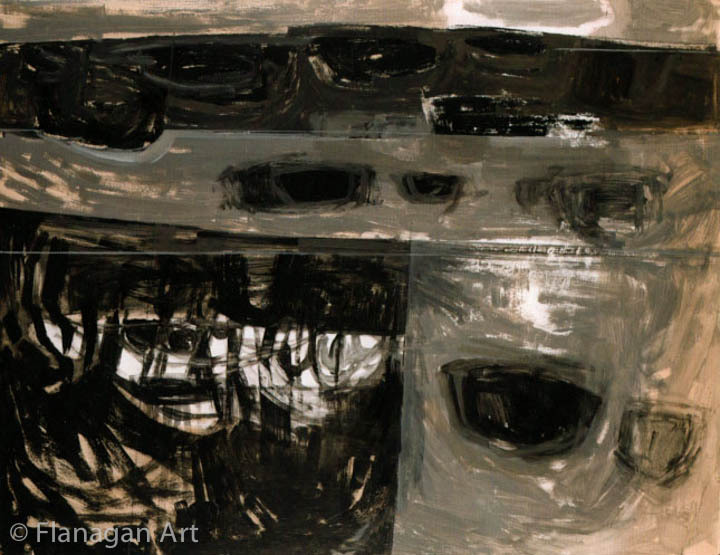 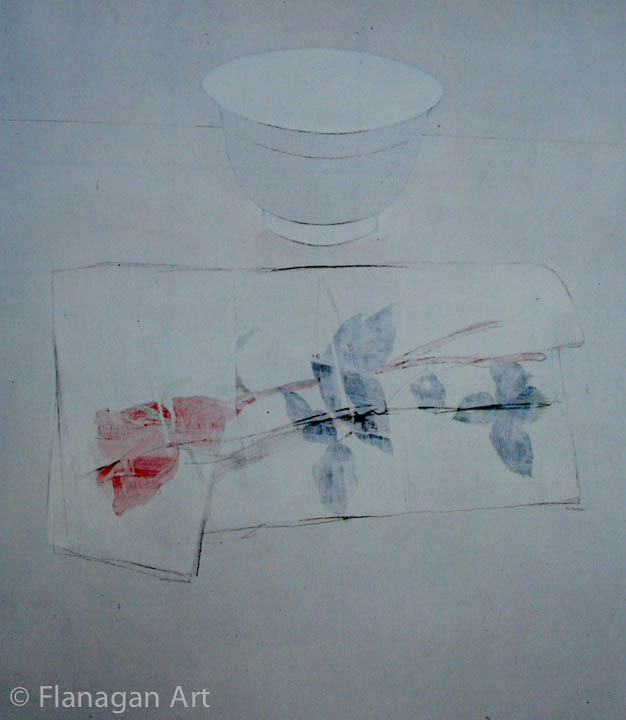 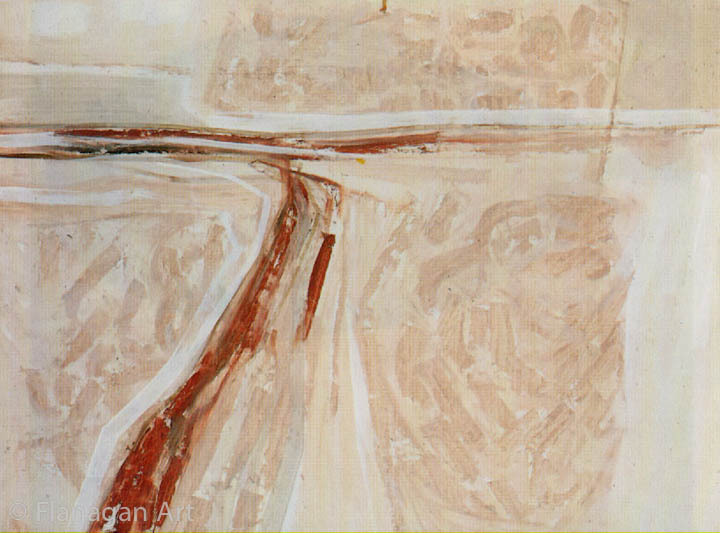 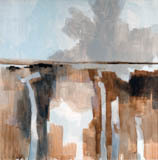 Several magisterial compositions resulted from the trip—A Stream through Sand, 1966, Boglands (for Seamus Heaney), 1967, and Gortahork 2, (Ulster Museum), also 1967, amongst them—all of which are executed in a gestural fashion, a characteristic that can also be seen in Bog Road, 1966-7, and Bogland, Gortahork, 1968. 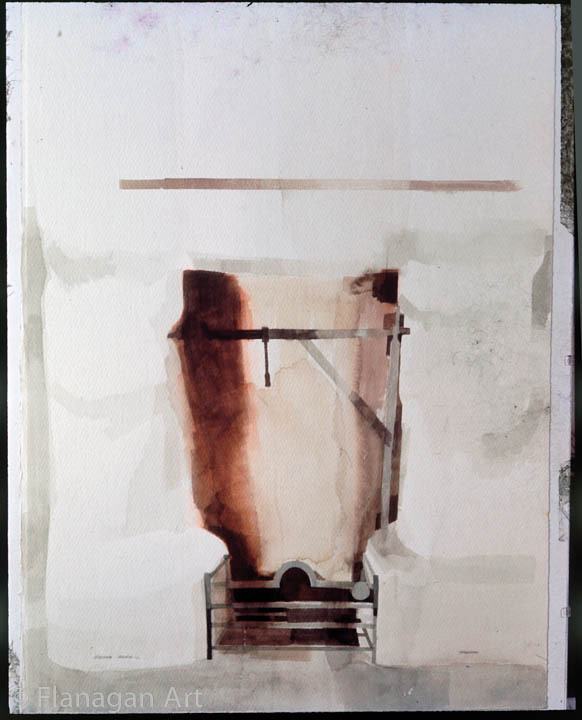 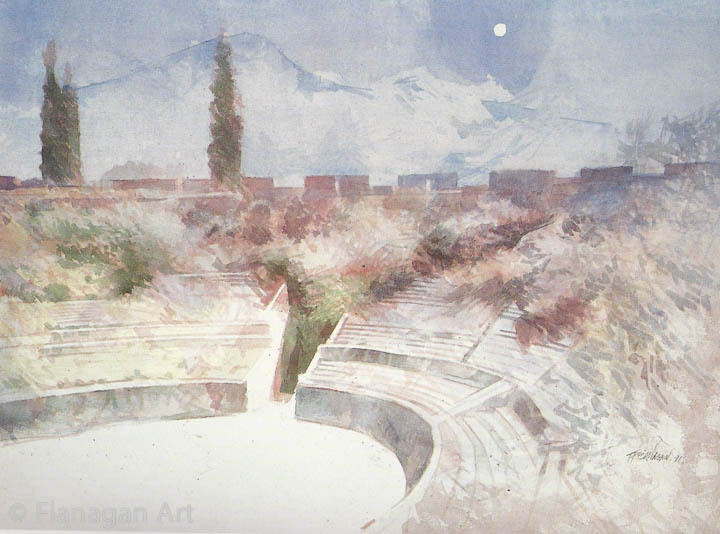 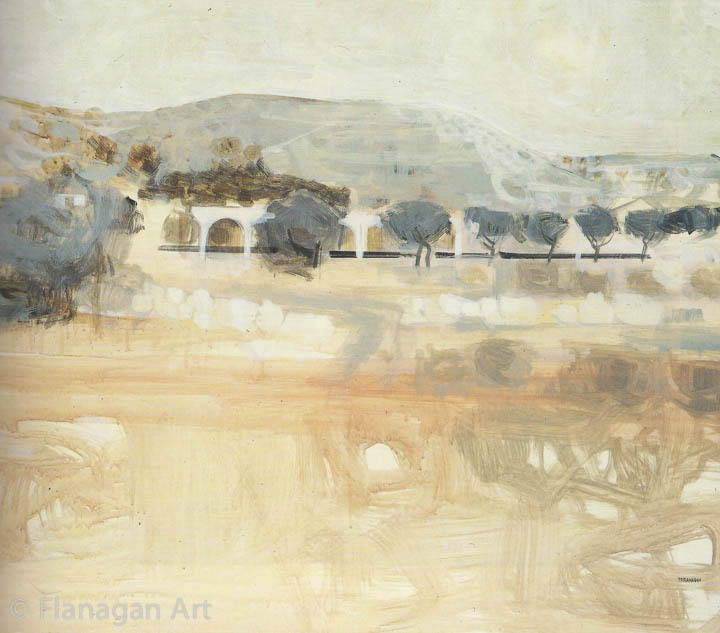 Many of these early Roughra pictures are watercolours and mark a new departure for Flanagan. 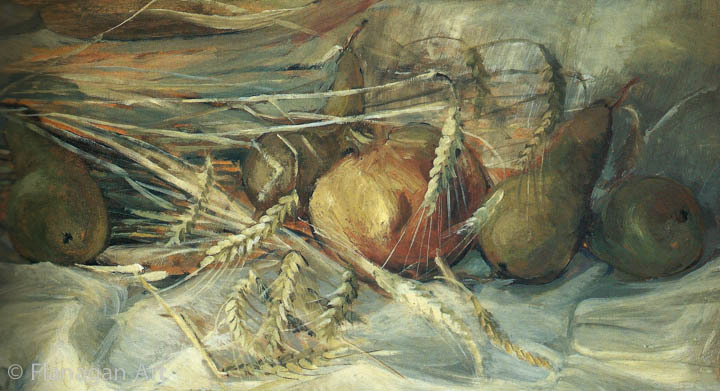 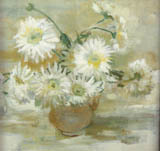 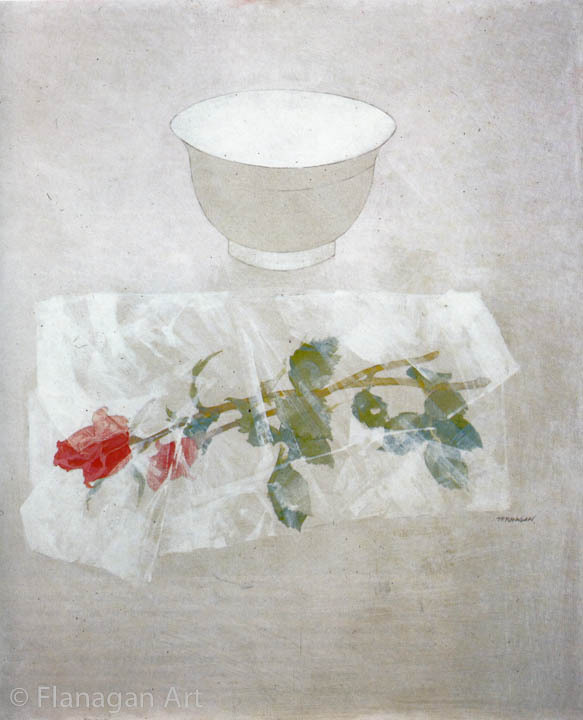 While he had often used the medium before, it now began to assume a greater importance in his work. 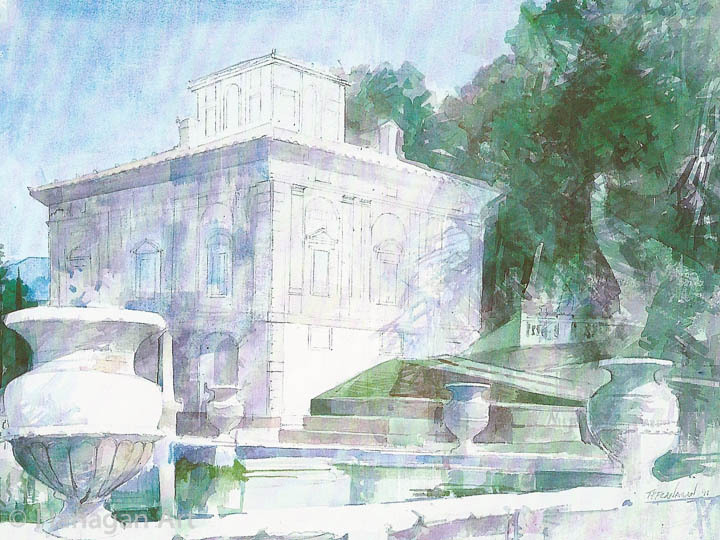 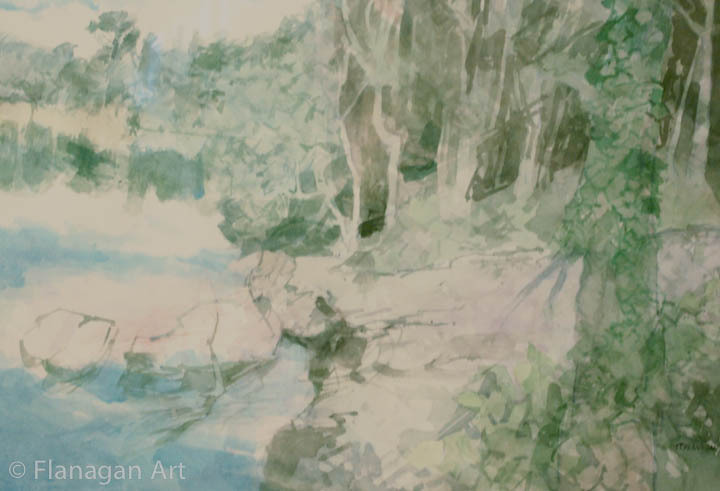 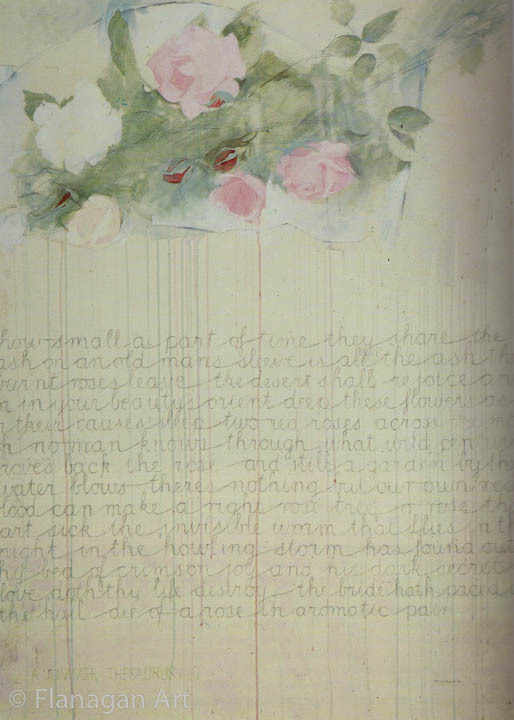 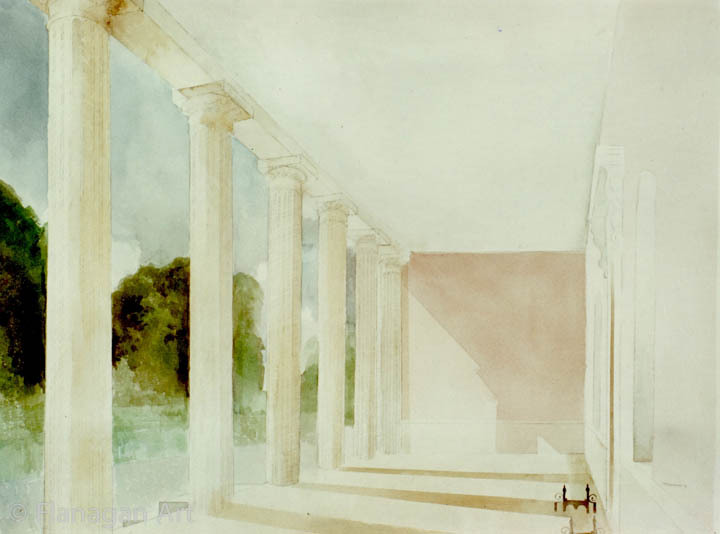 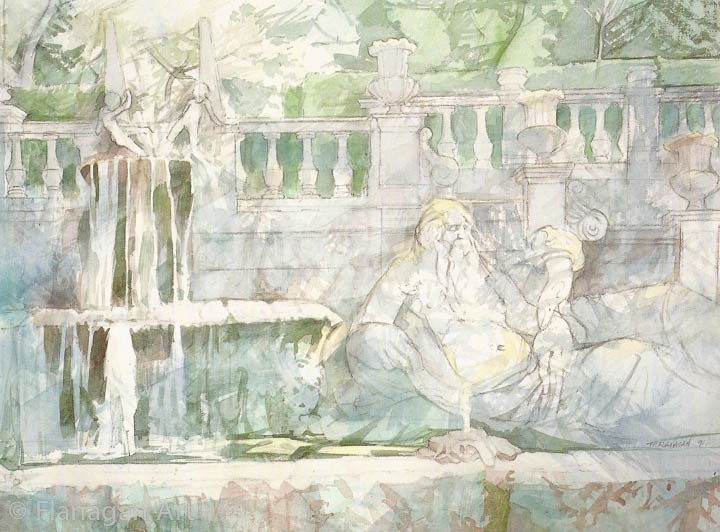 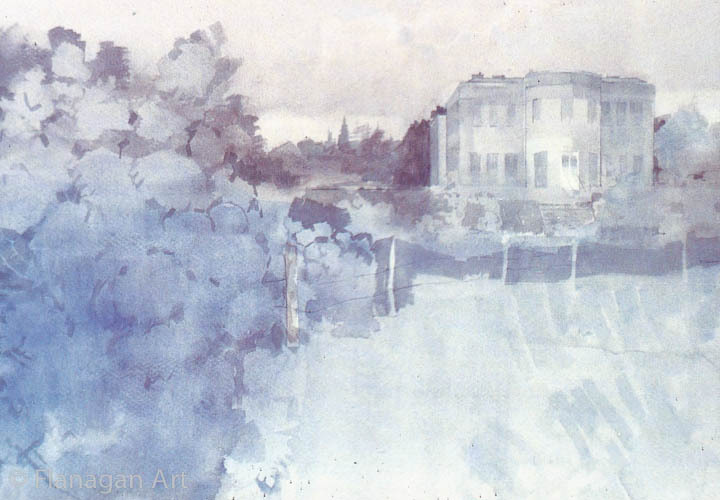 Years later he described his love for watercolour writing that 'on the page watercolour flows and spreads … to dry quickly, setting with a crisp edge, or alternatively (should the paper be allowed to stay wet) become slowly absorbed as a soft blur.' 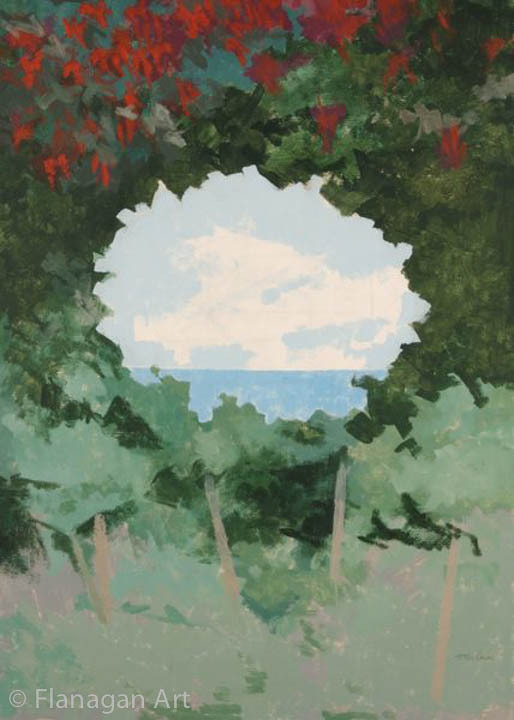 Tints of colour, he went on, 'can be achieved of such subtlety as to appear merely glimpsed, and, alternatively, so also can saturations of a rich depth and luminosity. 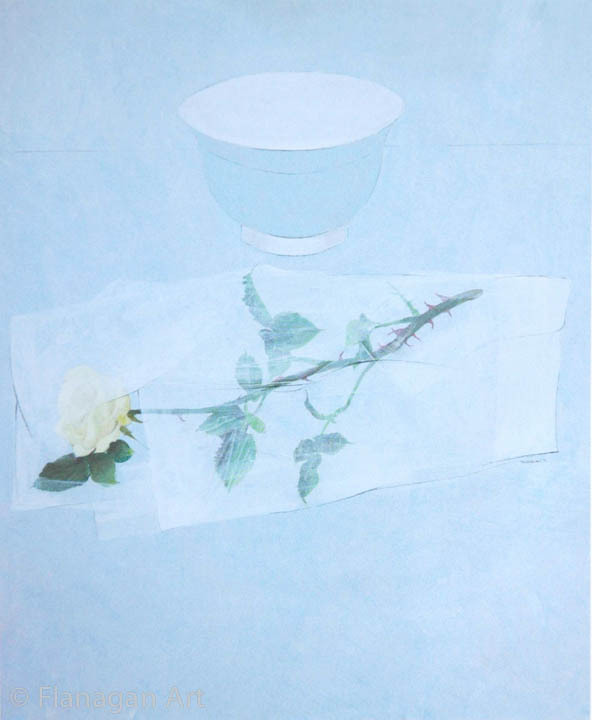 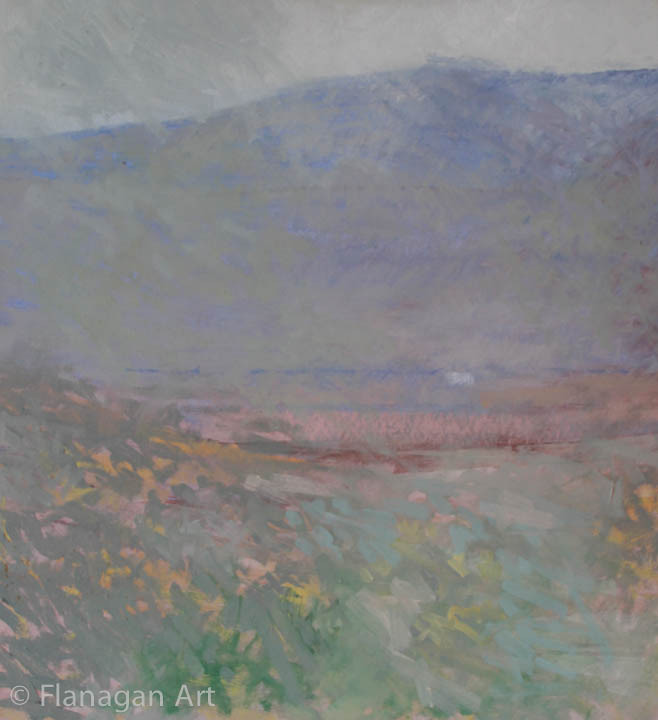 Water ensures that the layers of dissolved pigment remain transparent, and light is reflected back to the eye from the white paper beneath,' qualities that are clearly evident, for example, in The Eye of the Bog. 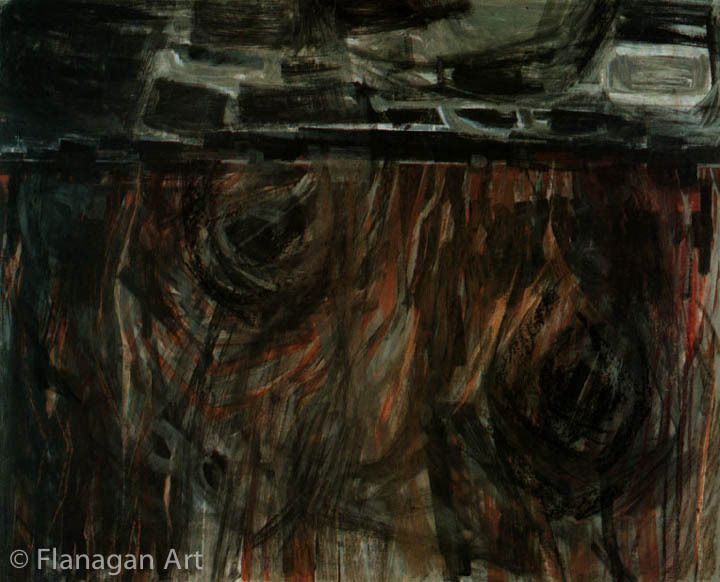 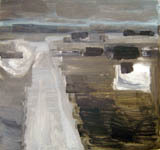 Another contemporary picture, Bog Cutting, Roughra, Co. Donegal, an oil, conveys the atmospheric emphasis that dominates many of his paintings from this time, something that can be seen to good effect in the four works that form a quadruplicate, Roughra 2, Roughra 3, Roughra 4 and Roughra 5 (all Fermanagh County Museum), but which date from some years later. 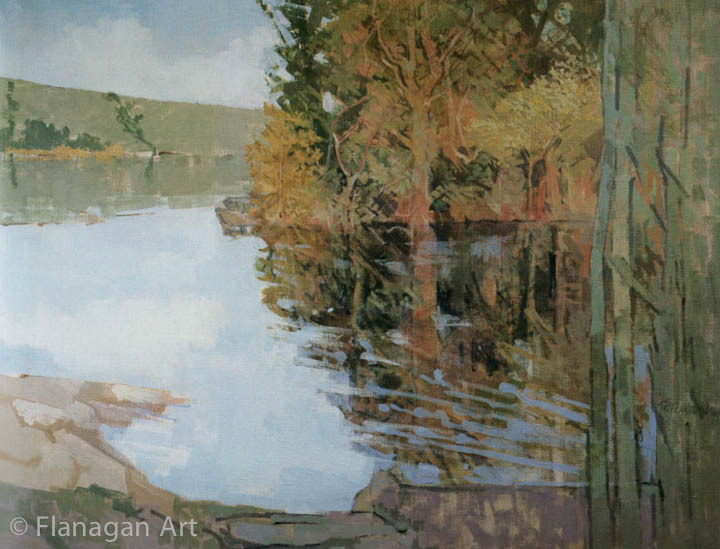 Throughout his career Flanagan has returned to his native County Fermanagh for inspiration, as the pictures that comprise the Lough Erne Theme—which has evolved since the early 1970s—illustrate. 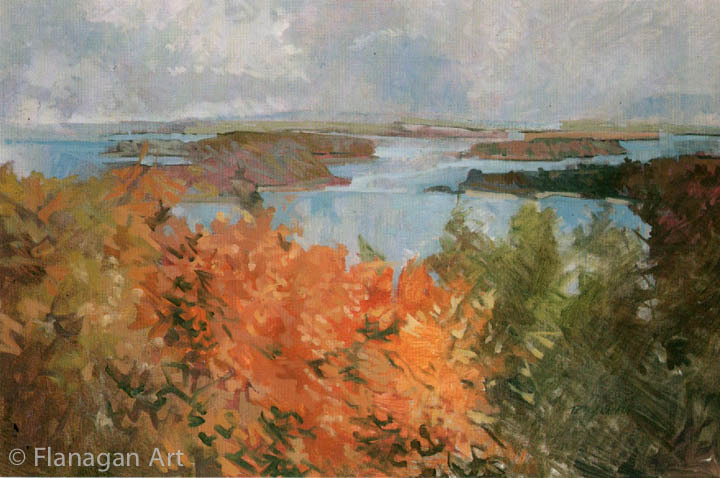 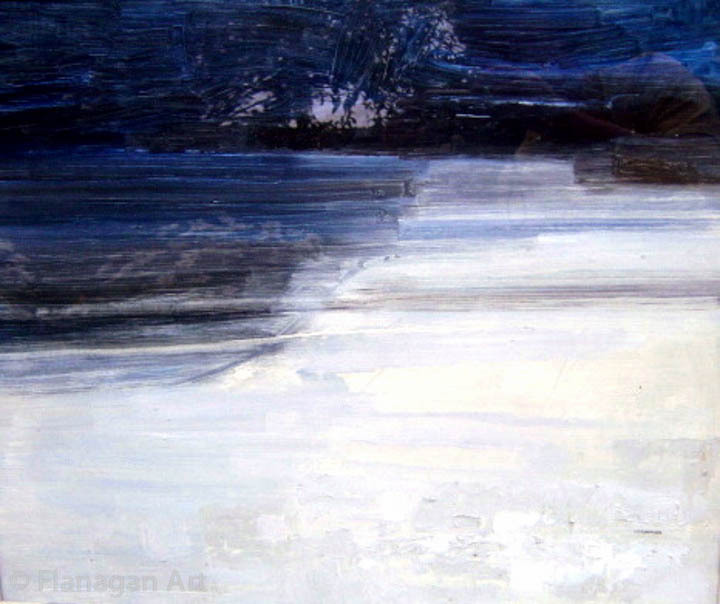 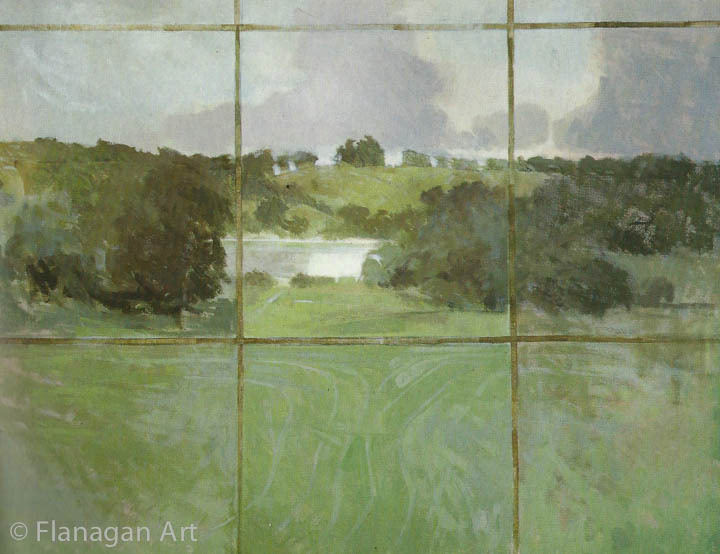 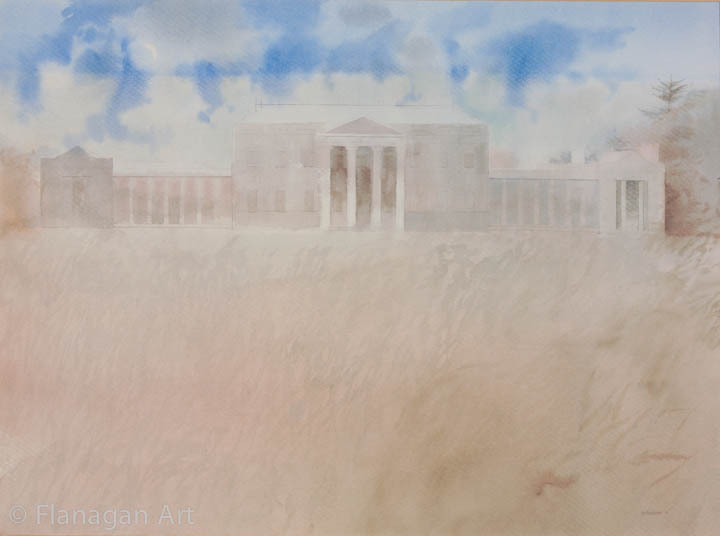 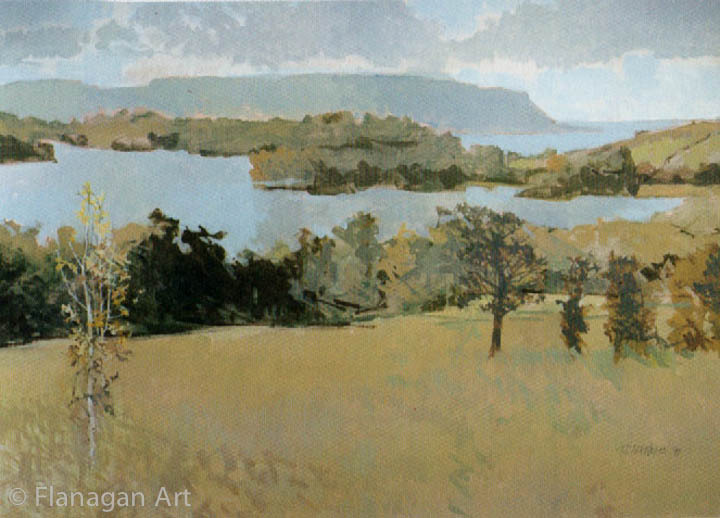 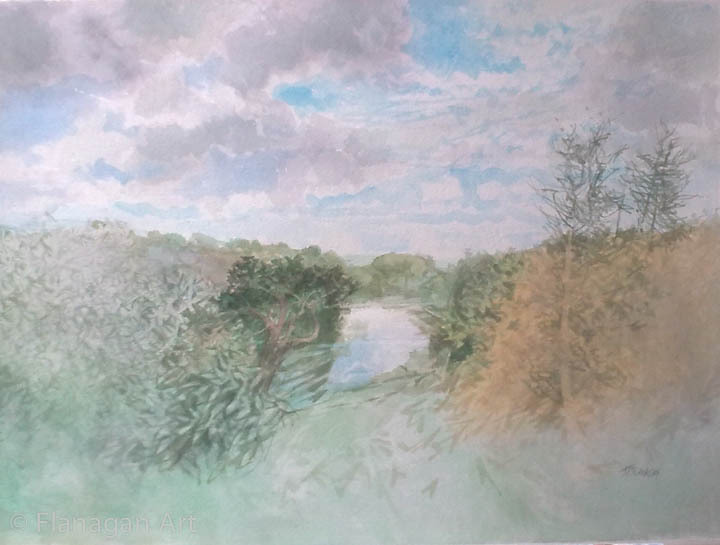 A Shower Passing, Lower Lough Erne, a watercolour of 1971, Autumn Lough, oil, 1990, Lough Acrussel, Summer, oil, 1999-2000, and Dawn, Lower Lough Erne, watercolour, 2009, are perhaps the most outstanding of these pictures. 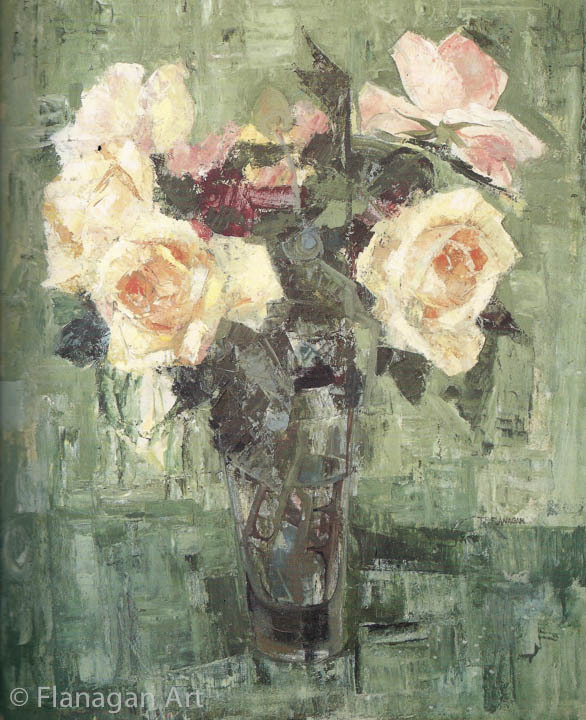 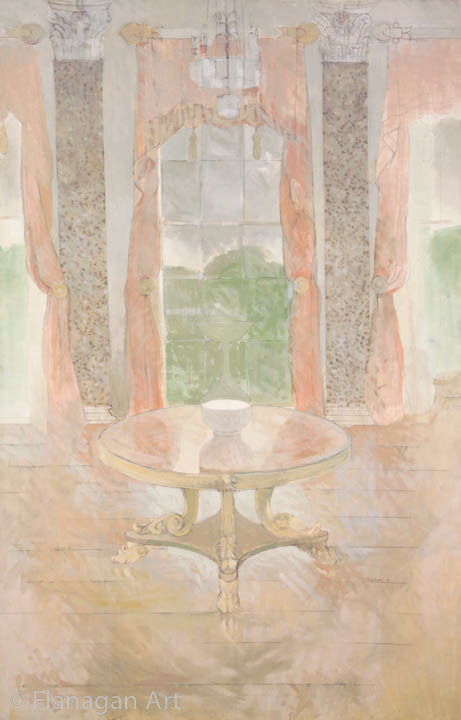 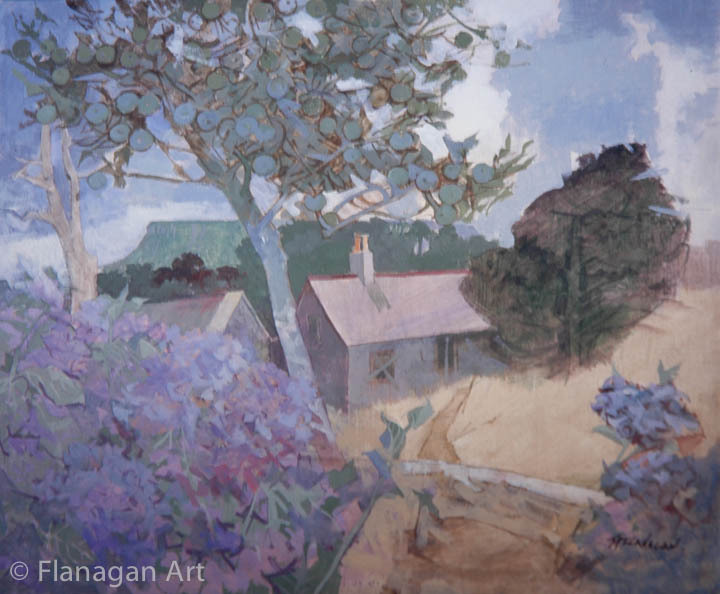 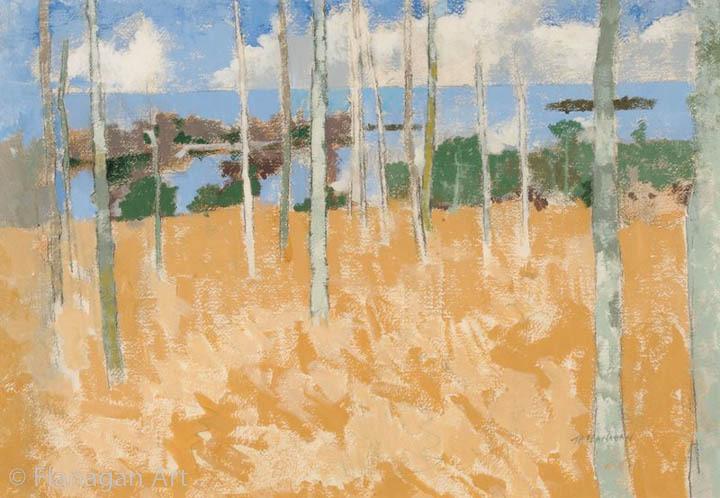 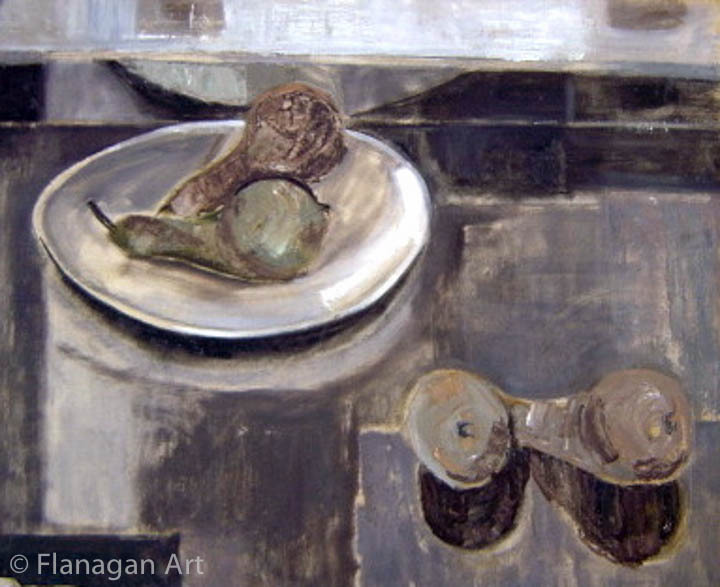 There is about them a freshness of palette, at times almost a luminosity, to which the embrace of watercolour as a medium has greatly contributed and which typifies a good deal of Flanagan's later work, even in oils. 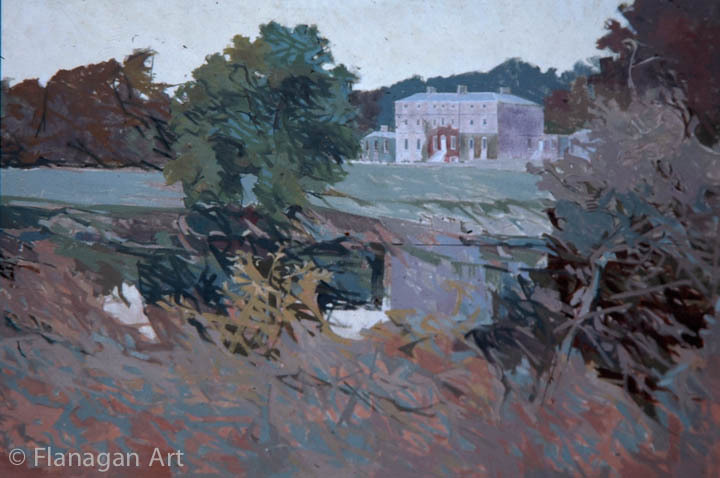 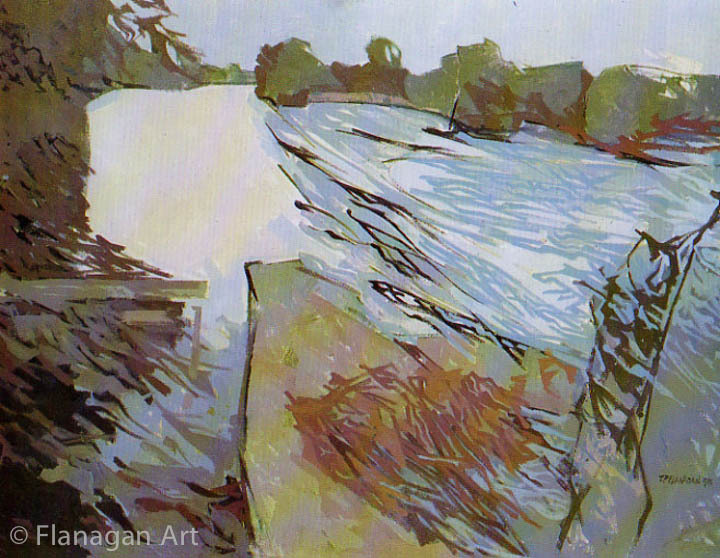 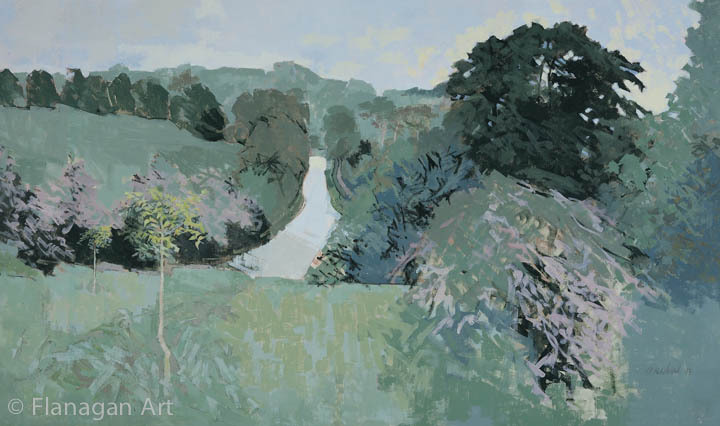 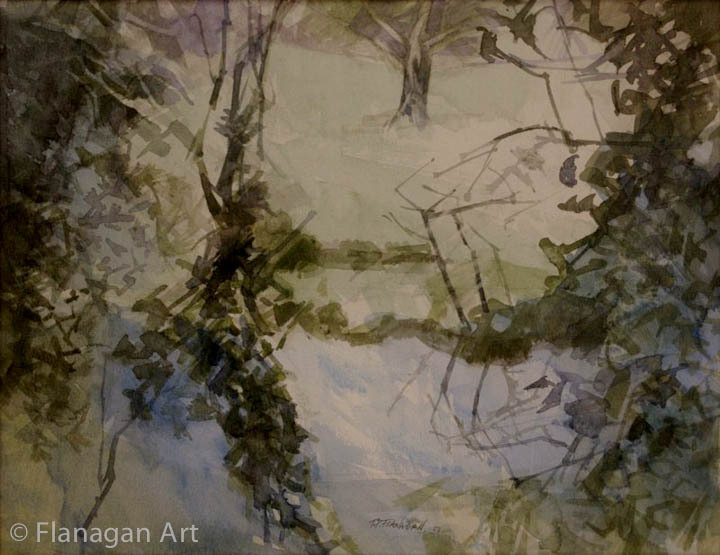 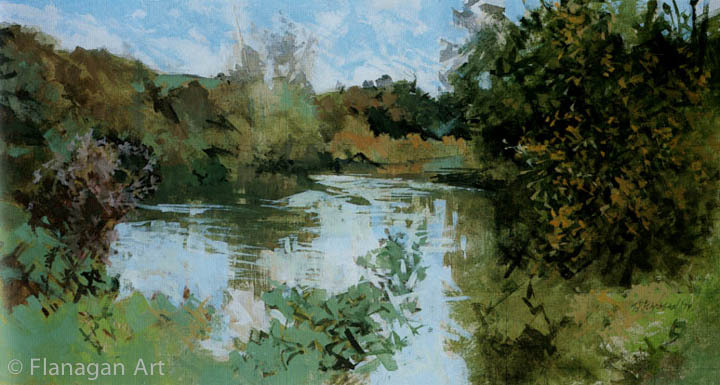 The Autumn Lough picture and Above the Lagan, Barnett's Demesne, 1997, oil (Lagan Theme), also show the calligraphic brushwork that characterizes much of his painting of the late 1990s and early-to-mid 2000s.